Challenge Foodservice delivers quality you can trust. Receive the finest quality, freshest products available from California’s #1 foodservice dairy and brand. Our broad range of products make us a true one-stop shop for foodservice operators who value quality ingredients. Quality dairy comes from dairy experts. We realize that you have numerous options for purchasing dairy products. However, only a dedicated dairy supplier can ensure that your dairy products are properly received, stored, and delivered. You need someone who understands how delivery methods impact quality and shelf life. You need a dairy expert. Ensuring freshness, maximum shelf life, and food safety. Dairy products absorb the aromas of nearby products and flavors. Challenge Dairy does not store or transport dairy products in close proximity to other products, such as produce, which can give off odors that are easily absorbed. Meticulously transported from our door to yours. Our dairy products are delivered on our own fleet of refrigerated trucks. We carefully regulate the temperature of products to supply the freshest products at time of delivery. Your dairy products come directly off our trucks and into your refrigeration. We take dairy very seriously and obsess over its quality. In fact, we started lab sampling our butter back in the 20‘s, long before food testing had become a standard practice. We stand by every dairy product we supply. Environmentally produced, packaged, and transported. Our dairy comes from natural ingredients, so we constantly assess our impact on the environment. Our dairy farmers share our commitment to sustainable practices. Our products are packaged in recycled materials, and local branches mean less driving. We've got sustainability down cold. A pioneer in manufacturing, procedural and sustainability innovations, Challenge Dairy is excited to introduce its Rayfrigeration Delivery Service™ which allows our products to be kept cool in transport through the use of the first commercial-use zero-emissions Truck Refrigeration Unit. Rayfrigeration allows for refrigeration through two forms of energy storage: cold plates and a unique, lightweight battery system. This initiative enables Challenge to deliver quality products with minimal impact on our planet. Get the best products at the best price. Led by our renowned butter, Challenge Foodservice provides a complete line of dairy products to restaurants, resorts, hotels, cafeterias, and food manufacturers. We offer over 1,000 different products available in everything from bulk to individually wrapped single servings. Quality and taste are our highest priorities, so whenever we are recognized as a leader among imported and domestic butters, it’s truly an honor. Our butter varieties have won numerous awards for taste and performance, and consumer testing has shown it to be preferred over other brands. It’s the butter used by the finest commercial bakeries, candy makers, restauranteurs, and food manufacturers, and it’s a top seller at the leading grocery chains in the West. With the majestic elk, Challenge Butter is one of the most recognized and respected packages on the retail shelf. The taste of 100% pure, fresh from the churn butter makes a real difference in anything you serve. That’s the promise that started the Challenge tradition almost a hundred years ago. And that’s the promise Challenge Foodservice will deliver to your kitchen and dining room today. Challenge Dairy offers a complete line of high quality cheeses including domestic, imported, organic, and artisan cheeses. Not only does this set us apart from traditional dairy distributors, it enables us to provide an assortment of cheeses in the quantities you need to match your local cuisine, from 40 lbs. blocks of Cheddar and Jack to mid-sized portions of gourmet imported cheeses. If you are looking for ways to enhance your recipes or to offer something unique to your patrons, consider adding any of our specialty cheeses to your menu: Smoked Gouda, Pepper Jack, Brie, Aged Cheddar, Swiss Gruyere, Bel Paese, Ricotta, Romano, Blue, Feta, Goat, Cottage, Asiago, Havarti, Mascarpone, Mexican-style, and more. We also carry hundreds of liquid essentials like cream, milk, stock bases, oils, dressings, and juices. Our creams and creamers come in several different types, as both dairy and non dairy. We have many varieties of milk including powdered, sweetened condensed, whey, and flavored. Our premium line of soup bases, flavor bases, stock concentrates, and gravies provide a consistent, well-rounded flavor profile for chefs to put their signature on any dish. We offer all types of oils and shortenings, a broad range of dressings, and high quality juices like our fresh- squeezed 100% locally grown sweet Valencia Orange Juice. Challenge Foodservice is the butter and dairy expert that you can rely on for all of your dairy needs, but we can provide you with more of what you need in a single delivery. We offer a wide variety of other refrigerated items such as eggs, yogurts, cakes, ice creams, gelatos, sorbets, deli items, and more. Please ask your driver or sales representative to be sampled today. Challenge Dairy services more than 2,000 customers in California, Hawaii, Nevada, and Arizona. We are also a proud supplier to the U.S. Military and support Humanitarian Aid efforts around the world. Contact a local branch near you. It's important to keep manufacturing and distribution close to our customers. 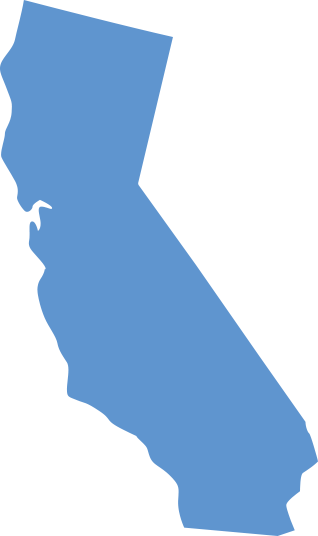 Challenge owns and operates eight local Foodservice distribution centers throughout California, from San Diego to Sacramento so products arrive quicker and spend less time in transit.